Halloween! Halloween! Halloween! It is just around the corner. What a great time to enjoy and a harmonious time to play with neighbors. 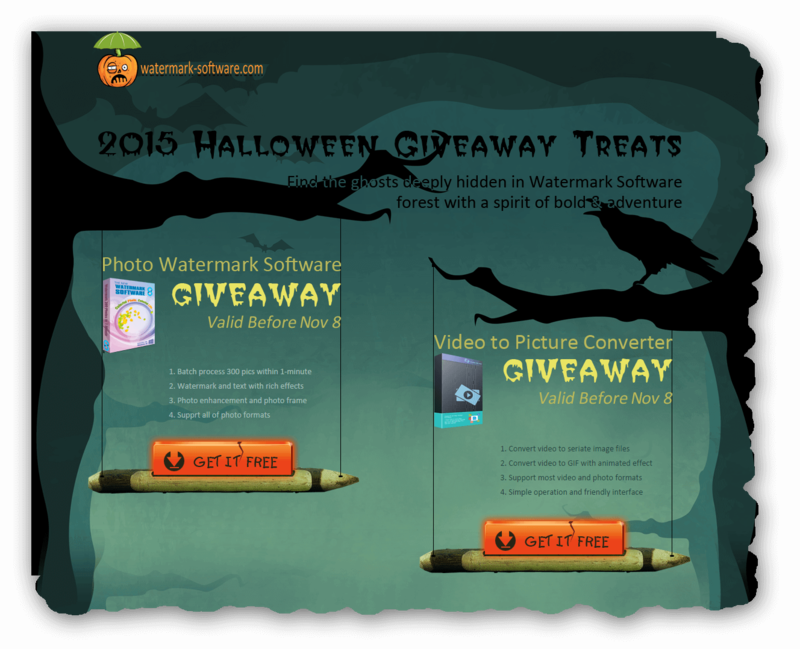 Watermark Software Corp. is asking you to join their Halloween Horror party. And don’t be scare, since they only offer treats on the house – free licensed Watermark Software(V8.0) and Video to Picture (V5.2) for your tricks. So just make you will scare the Corp. to skin and bone, and pull a candy out of their costume. Just join in this grand Halloween party! 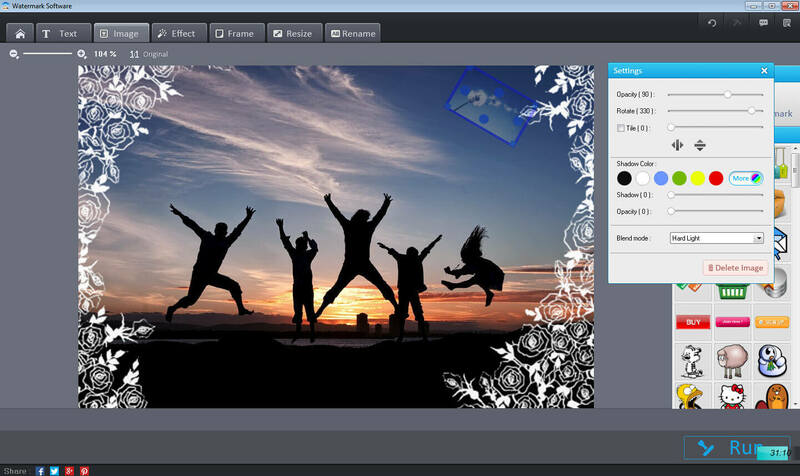 The candies in Watermark Software Corp. treats cover two software: new Watermark Software V8.0 and hot Video to Picture. 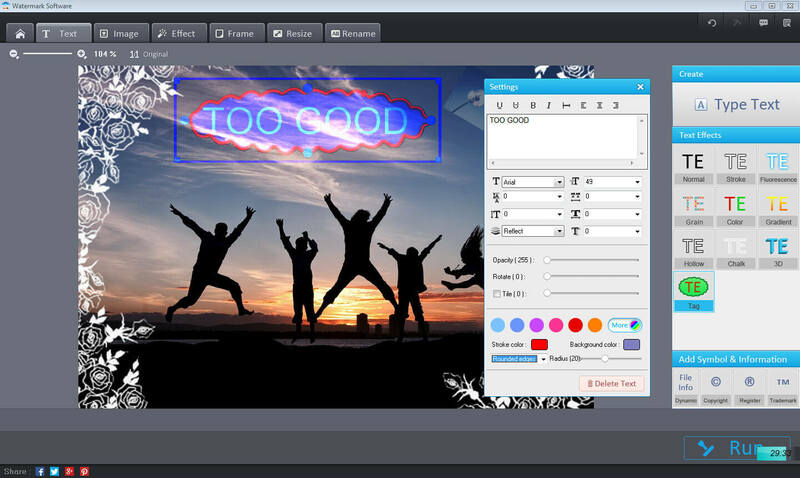 Watermark Software version 8.0 is a brand new photo editor, which is definitely worthy of using. We have used their previous version, it adds vivid text and brush functions in the new version. Of course, you will find brand new usages and new functions, if you had some experiences of the previous version software. You might feel that you are using a different software to some extent. The text of the Watermark Software V8 is quite funny, and of course, can be useful if you prefer to add lifelike texts. The embedded choices for text is quite numerous. Normal, Stroke, Fluorescence, Grain, Color, Gradient, Hollow, Chalk, 3D, Tag are the main remained selections for you to choose. After hitting Image button, you are feel to insert any image to your photos. Adjusting the size of the inserted photos and put them in the position where you like to. Opacity, shadow, tile and blend mode can all be modified. Maybe after a combination of your drags and clicks of pictures, a masterpiece will emerge. 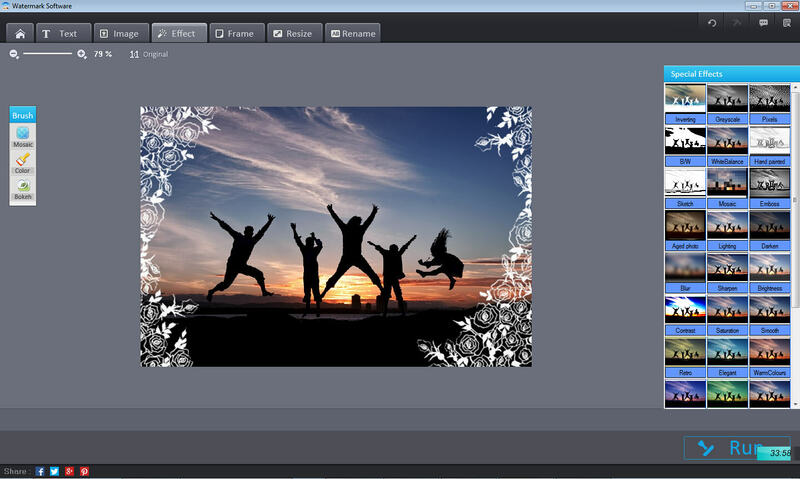 Effect section has more delightful functions, includes Mosaic, Color and Bokeh. Mosaic for covering. Color for remaining colors in certain parts and B&W the rest. Bokeh for blurring the whole picture and leaving some parts clear. Other delightful functions of Watermark Software is remained for you explore. Just know that this is a swift batch photo editor. Video to Picture – old version but useful. We vote for its speed and easy using. 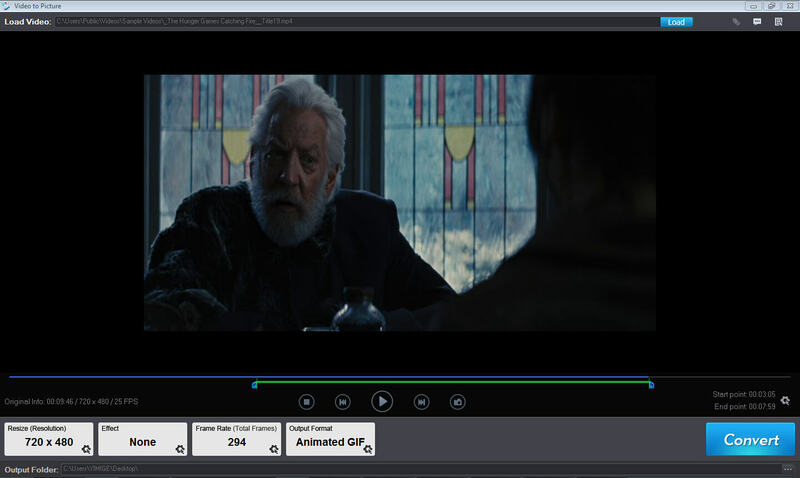 It can help to convert any video to almost all picture kind. You can set the output size. You can get an animated GIF. You can get a bunch of seriate photos. And you can do more if you want to. How to Enjoy the Halloween Treats? Just one warning: be sure to register before Nov 8th, 2015. Or your Halloween treats can’t make it happen for your free lifetime using. Also, they nail it a non-updated software. And we guess that’s the only tricks they played. After all, be happy, this Halloween!